If you’ve spent a back-breaking afternoon in the garden, jump into a lavender bath to soothe aches & pains away. Apply Epsom salts & a few drops of Lavender Oilto the bath and soak away the tension. Lavender is one of the most valuable oils for the treatment of acne, according to aromatherapists. “It inhibits the bacteria that cause the skin infection, helps to rebalance the over-secretion of sebum, which the bacteria thrive on, and reduce scarring”. Add a few drops of lavender oil to a plain cream sold by chemists and use as a moisturizer or cleanser. French laboratory studies in the early 20th century showed that lavender is a powerful antibacterial in dilutions of 5 per cent or less it is lethal to bacteria that cause typhoid, TB & diphtheria. Combined with Lemon Balm, for its clinically tested anti-viral properties. 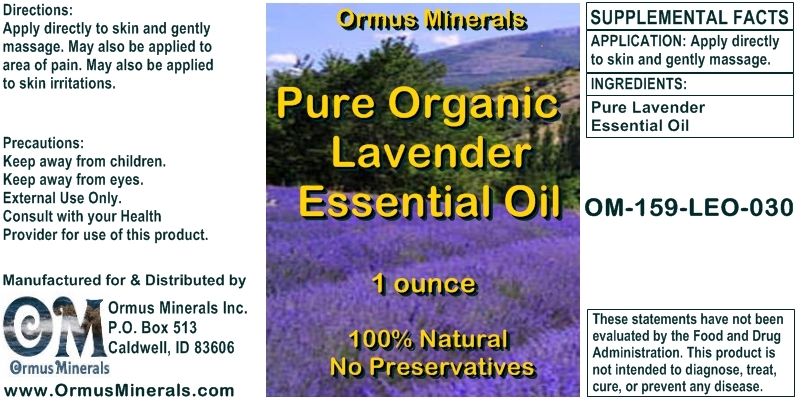 Applylavender oilto sooth pain, prevent bacterial infection and aid scar-free healing. Apply neat. Warm a bottle of lavender oil in hot water for a minute or two, then gently massage a few drops into the skin around the ears and throat. For babies & small children, add 2-3 drops of the warmed oil to a little olive oil and massage in the same way. Stroke infused lavender oil (a few drops of lavender oil & carrier oil) into dry, itchy skin—small children will find this especially comforting or add a few drops of lavender oil to calamine lotion, shake before use. Add 5 drops of lavender oil to a hot foot bath and relax while your feet soak in it. The soles of the feet are particularly porous, so lavender reaches your bloodstream very quickly, exerting its stimulating and soothing effects on various systems of your body. For babies or small children, sponge them down very gently with tepid water to which you have added a drop of lavender oil. Take care not to let them get chilled. This works for adults too. Make your own smelling salts—sea salt , lavender oil, peppermint oil & basil oil. The distilled water of Lavender (Hydrosol) Mist around your head, is refreshing and soothing. Alternatively, make a compress of a piece of cause or muslin soaked in icy cold water then sprinkled with a few drops of lavender oil and apply to the forehead, or massage a few drops into the forehead, temples and nape of the neck. In a number of small studies, elderly psychiatric patients have been shown to sleep better and be more alert during the day when their sleep medication is replaced with lavender oil either dropped on their pillows, or placed in a diffuser on the ward. To help to induce sleep, put 3 or 4 drops of lavender oil on your pillow. For babies, add 1 drop of lavender oil & geranium oil in carrier oil and massage into a babies back or a few drops in their bedtime bath. Combine lavender, rosemary, Neroli, frankincense & clary sage, into your hand luggage and roll it over your pulse points to help you keep a clear head during those endless hours in the air. Massage a few drops of lavender oilinto your lower abdomen or apply a hot compress onto the area, which a little lavender oil has been sprinkled. These annoying little insects all hate the smell of lavender. To prevent bites, splash yourself with lavender hydrosol before you go out at sunset or to bed, put 3-4 drops of oil on your pillow or soak cotton wool ball in the oil and leave it on a saucer in front of the window. Lavender oil is also a terrific remedy for insect bites, soothing itching & inflammation: dab it on to them neat as soon as possible. To keep moths off your clothes, hand lavender bags on you coat hangers or keep them among your sweaters and refresh them with a drop or two of lavender oil from time to time. This infestation by a tiny mite burrowing into your skin causes intense itching. Rub the whole body with neat lavender oil, then following every day until better with a mixture of lavender oil and alcohol. Change and wash bedding and clothes and sprinkle lavender oil on the mattress. Combine a mix of lavender oil with, analgesic, antiviral & scar preventing essential oils neat or on compresses on the agonizing lesions of shingles. It usually produces a cure within 5-8 days. Lavender is one of several essential oils that aromatherapists recommend for inhalations to relieve sinusitis, add two drops of lavender & thyme oil to a bowl of near-steaming water and inhale slowly and deeply, with a towel over your head & bowl. Keep a spritzer of Lavender Mist - Hydrosol handy to spray on your face during the day, or apply lavender oil neat to your temples. Spray pure Lavender Mist – Hydrosol directly onto the skin or Add 8 drops of lavender oil and 4 drops of peppermint oil to a teaspoon of jojoba oil. Pour it into a cool-to-lukewarm bath and soak for 10 minutes.